Selecting a dog takes time and trouble. that you would never have dreamed to think about. have your work, your friends, your entertainments. But I have only you. have been in the sun too long or my heart might be getting old or weak. please. Never say you can’t bear to watch. Don’t make me face this alone. Everything is easier for me if you are there. Because I love you so. them. Life would be a much duller, less joyful thing without God’s critters. Lowchens make good pets why? I maybe the most fun loving dog you'll ever meet. I am called a Löwchen. 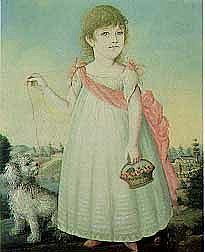 "Meaning of the name is Little dog lion"
Löwchens; in general, are fun loving inquisitive, intelligent a loving affectionate sociable delightful characters lively, entertaining, and very loyal devoted, and eager to please they are very outgoing clowns in a small breed, although sensible should not be hyperactive. He is a mixture of playful spirit and calm soul mate, a good companion. He is willing to please and responsive to commands, and is devoted to his family. Having a sound, happy temperament - puppies should not be timid or nervous and should play happily with visitors it is up to the breeder to show your younger members of the family how to sit down and be gently with a puppy - Löwchens crave for constant love and attention from you and your family members particularly they love the young members of the family. Just like children Löwchen respond extremely well to praise and positive reinforcement. Löwchens need to be a part of the family home. They are not a dog that is happy just living outside: They are Hypo allergenic, somost people with allergies alright with Löwchen. As Non-shedding breed they do not lose a lot of coat at any one time. of cause as with us humans, Löwchen do lose some coat but not in large amounts at one time. this means you will not have a lounge filled with hair, although you may find some on the carpet. They love to play outside with their toys and the family, They are good with children and other pets in the household, I suggest that everyone has some training when they get there first Löwchen as they learn quickly, and they will also learn how to pull the wool over your eyes if you do not learn some reward based training while they are young. The Lowchens lion-cut coat makes them look fragile, but this is not the case. These dogs enjoy long walks but will adjust to any lifestyle. They are fearless, resourceful, and bold. They possess a gentle and sensitive nature, and firmly attach themselves to their family. 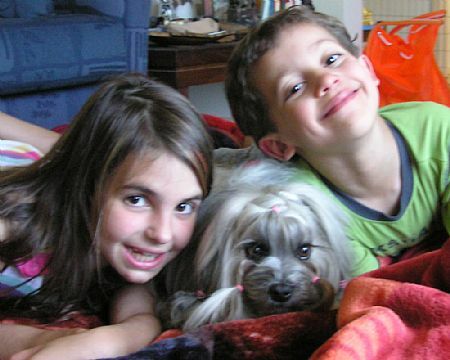 Löwchens are good with children, other dogs, and other household pets. what age can I have my Löwchen It is against Dogs Victoria's regulations for registered breeders sell you a Lowchen before the age of 8 weeks and some need to be a little older before they leave mum! So do not expect to take one home any earlier for a reputable breeder. A Löwchen puppy that has not been raised in the home, that has had little contact with humans and the activity of a family may not make a well-rounded and secure family pet. For this reason it is important to visit the breeder of your choice if this is possible and they should make you welcome to come and meet the breed before you make a choice to make a Löwchen part of you household, if you live in a different state or Country then ask other breeders if they know of this breeder or ask the breeder for other people names who you can contact that have their pups, and ask them about how the pups were raised, and what sort of support they have given them with their dogs. 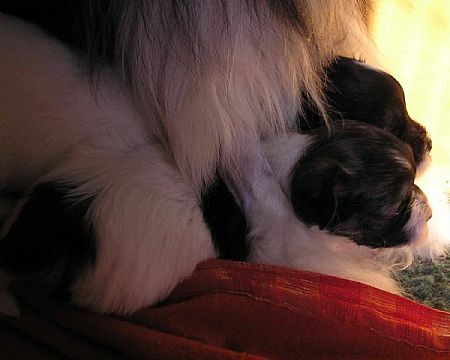 A reputable breeder will always be willing to show you the litter mates if they still have them and parents of the puppy if they own them both, as well as other Lowchens in their household. Things that you may want to be aware of: some may bark or dig and have a love of water in the garden if not trained; The Löwchen can receive ample exercise with a short walk or active game every day. He enjoys a mental challenge. He is not a breed that should live outside, although he appreciates access to a yard during the day. They may display arrogance or a strong-willed attitude. They are extremely protective of their family and will bark to warn of danger or visitors. His coat needs brushing or combing about every other day. Clipping to maintain the traditional lion trim must be done every month or two. Many pet owners prefer to keep their dogs in a puppy clip. Whatever your Löwchens attitude, if given your love, care and training can change him/her completely - from an unruly, out-of-control dog to the best in the block!! Lowchen requires a professional grooming every four to six weeks. The unclipped hair must be combed daily to prevent tangles and mats. Bathing should be done on a weekly basis. The Löwchens high intelligence and willingness to please make them easily trained. They excel in agility and obedience. Early socialization is important for this breed. They respond best to gentle, fair, fun, and consistent guidance. Proper training will discourage their tendency to bark excessively and curtail their tendency to dig. Health: Löwchens are relatively free from health problems, yet like people any dog can have health problems a good breeder will be able to give you the records of the breeding of your puppies and any health checks that have been done on the lines, such as eyes knees and show you that the dogs have good hearing. Most breeders will ask if the pet puppy is to be de-sexed and will make it a condition of the sale, so make sure if you are thinking of breeding you let the breeder know of this as otherwise the puppy will be on the pet register as not for breeding of showing. Are you are interested in the history of the Lowchen breed? Although uncommon, these dogs are no longer rare. Löwchen (pronounced lerv-chun) means 'little lion dog', and in France the breed is know as le petit chien lion. The Lowchen shares common roots with other members of the Bichon family, which includes the Bichon Frise Maltese and Havanese, among others. Germany, Russia and France have all laid claim to the breed. The exact time and place of his origin is obscure, but dogs resembling the Löwchen, sporting the distinctive lion trim, can be found in 16th-century German art. In the traditional lion trim, the coat is clipped short from the last rib to, and including, the hindquarters down to the hock joint. The front legs are clipped from elbow to just above the pastern. The feet are clipped, and about one third the tail is clipped, leaving a plume at the tip. Any long hair is to be left unshaped. In the 1960s, the breed's numbers had dwindled to perilous numbers; through the efforts of two breeders, several related dogs from Germany were brought to Britain. Because of their small numbers, these dogs were interbred extensively and formed the basis of the breed in Britain, Australia, New Zealand as well as America. Find your Lowchen puppy for sale or adult dog from our reputable, responsible Löwchen breeder listings. 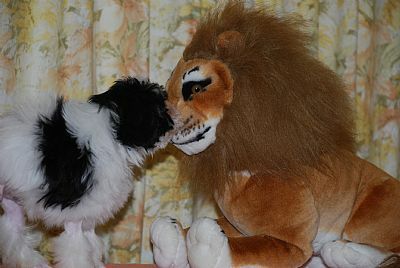 Check Lowchen Club web sites in your country for the New South Wales Lowchen breed club click on link http://www.nswlowchen.com/ Locate dogs for sale, puppies for sale, dog breeders, and more. We can also refer you on to other dog breeders we know of, perhaps closer to you. They can also help you with information on puppy selection and puppy care.